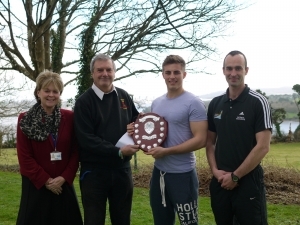 A new award has been introduced at saltash.net community school to recognise sporting excellence. Donated in memory of his wife, Pip Miller, the award has been initiated by one of the Academy Trust’s directors – Ken Martin. 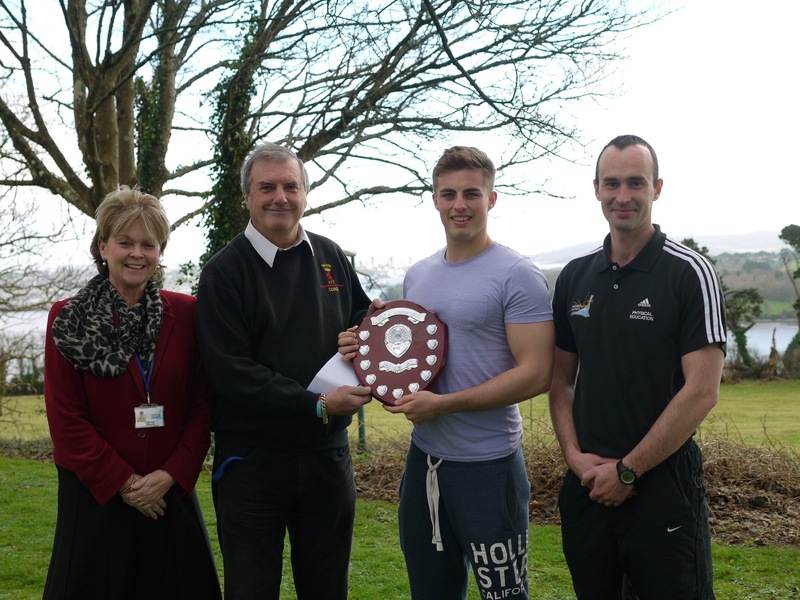 As someone who enjoyed and excelled at sport, Ken knew Pip would have approved of an annual award being given to a student at saltash.net who is deemed to be ‘Sports Personality of the Year’. The first student to be given the Pip Miller Memorial Award is Year 13 student, Sam Church. Sam has represented the school at rugby on a regular basis. He is also a Level 3 Sports Leader and an Advanced Level PE student. However, Sam’s main sport is golf and he has represented the school and the county of Cornwall at U14, U16 and U18 levels. Last year, Sam qualified to play in the European Junior championships in Spain. Past winners have included Justin Rose and former number 1 in the world for his age group, Luke Donald. 50 of the best young golfers in Europe competed for the title. With some truly outstanding play, and, at times, nerves of steel, Sam won the boys’ tournament, joining ex-student, Sammy Giles, who won the girls’ tournament, as Saltash’s first ever European Junior champions in a sport.